The Medusa turns you to stone by looking at you. The Catoblepas' bloodshot glance can kill outright. So too, the gaze of the Basilisk. A creature's gaze might put you to sleep or make you drunk. Blind Agnes steals your eyes, so you see what she sees. Imagine creatures invisible in light but visible in twilight. Shadow People and, perhaps the Horla, can be seen only from the corner of the eye. The Ravenous Bugblatter Beast of Traal will not attack you if you cover your eyes. Imagine a hot room jostling with demons that your character must walk through blindfolded. The Endermen of Minecraft will only attack if you look directly at them. They can also teleport and, once hostile, will teleport behind you in combat. The Weeping Angels will only attack when you are not looking at them, otherwise they appear as statues. Which brings to mind Caryatid Columns which become hostile and animated when triggered, which could be from just looking at them. 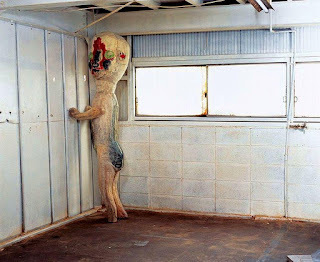 But even creepier for me is SCP-173, pictured above. If someone's gaze is not constantly on it, it will quickly move in destroy all life in its presence. The SCP Foundation is a rabbit hole worth exploring some winter afternoon. You can start with the top rated pages. Thanks! I'm working late, alone, dark office and I'm totally creeped out now. That SCP site is flipping awesome. Total X-files like campaign right there. Haha, keep looking at it! Yeah, I'm thinking of doing a one-off for Halloween based around these. 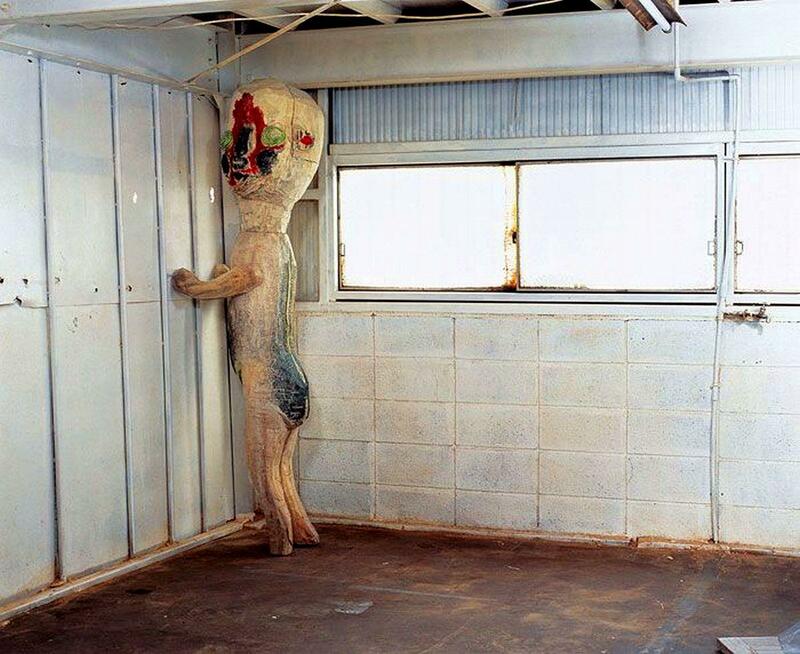 Check out YouTube videos for a game called SCP Containment Breach for more spookiness.